The number of local voices, in person and via messages to the group, reflected profound concern among parents about the current situation, specifically with open drug dealing and drug use, plus the volume of used needles found in the park. Scott Crossley, Brighton Drug & Alcohol Outreach Team. Lorissa Reed, Community Safety team. Scroll below for reports on drug use in the park. The number of people present – attending the meeting during half term, at bedtime on a weeknight, including parents with young children – reflected the strength of local feeling about the issue. There was not enough room to sit everyone in the Tennis Pavilion. This is presently a citywide issue, with panel reps coming from similar meetings in five different spots in the city, including the area around Brighton station. The number to call if you find a needle needs to be clearer, and posted around the park. For future reference, if you find needles in the park, call the environment contact centre on 01273 292929 (or 01273 292229 out of hours). They will come with an hour and remove safely. 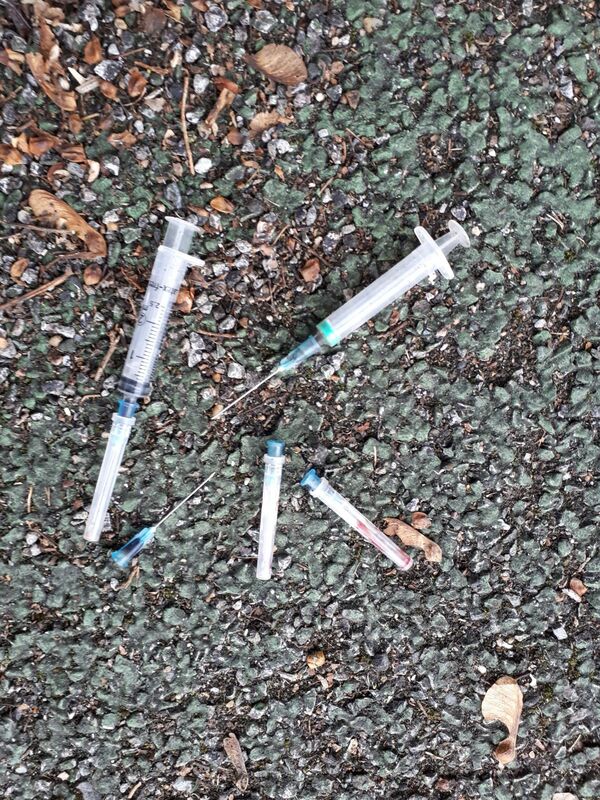 If you see injecting in broad daylight, or open dealing, or kids involved with the drug trade, call 999. Quote ‘Operation Rattle’. If you make out the number plate on a car you think is involved in dealing, please call it in on 101 (Quote ‘Operation Rattle’), or email Sussex Police. The police received 23 calls last week concerning events in Queens Park, and they hugely value this assistance. 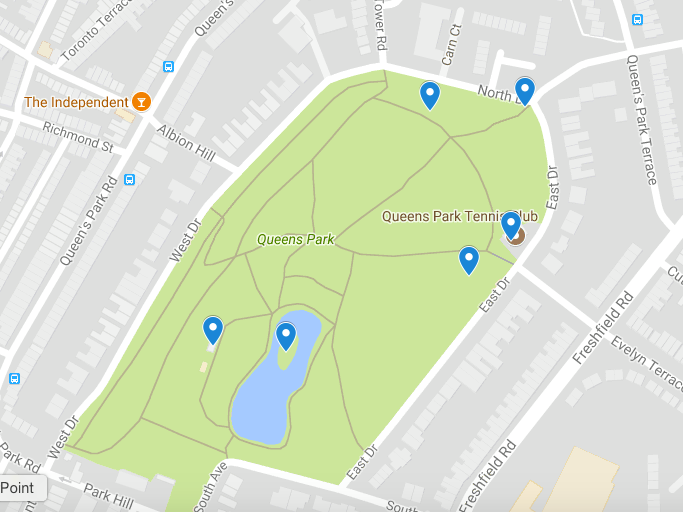 Dealers use WhatsApp groups to arrange meet ups at specific spots in Queens Park. The drug industry in Brighton is heavily involved with the exploitation of young people. There were a number of anecdotal comments about parents not bringing their children to Queens Park because of fear of drug activities, specifically needles. On a recent school group visit, children were advised ‘not to touch the leaves” for fear of concealed needles. Residents of Hampshire Court (Kemp Town) have noted increase anti-social drug activity. Residents of Queens Park Road have noted increased drug activity in the area, including at least one ‘drug den’. Police confirm that more than one residence has been ‘closed down’. Thanks to local councillors for arranging the meeting, and for the concerned professionals on the panel who gave up their time to attend, and to Queens Park Tennis Club for the use of the pavilion. Most of all, thanks to the parents, grandparent and concerned local residents who attended the meeting, raising important issues about drug use in the park. Faye Bridgewater writes: I’m sad to report more drug use in the children’s play park in Queen’s Park on Sunday. Unfortunately it was extremely unpleasant and depressingly it is happening everyday. I went with my children 5 and 7 for a play. When we got there I immediately saw two drug users staggering out of the toilets and called the police who said there was a unit nearby and they would come and take a look (they didn’t). One of them rode off on his bike while the other one could not walk at this point parents helped him to the floor and put him in the recovery position while I called an ambulance. I stayed with the man to make sure he was breathing. I called the police again to explain the man had now collapsed in the children’s play park and I had called an ambulance. Nobody attended. After about 30 minutes the man staggered up and left the park. At that point two MORE drug users then entered the toilets. I called the police again, and left the park to take the children home and answer their questions about the man on the floor. Surely this is a safeguarding issue for children using the park? There are needles being found everywhere, the toilets are absolutely disgusting and children should not have to witness people totally out of their head, or, god forbid, someone having an overdose. Lots of parents say they no longer use the park as they feel it is not a safe place for there children to play which surely should have the councillors and police to hang their head in shame that it has come to this. While I appreciate addiction is a terrible and awful disease which needs tackling in an appropriate way, we really need some action from the council/police in the park now. 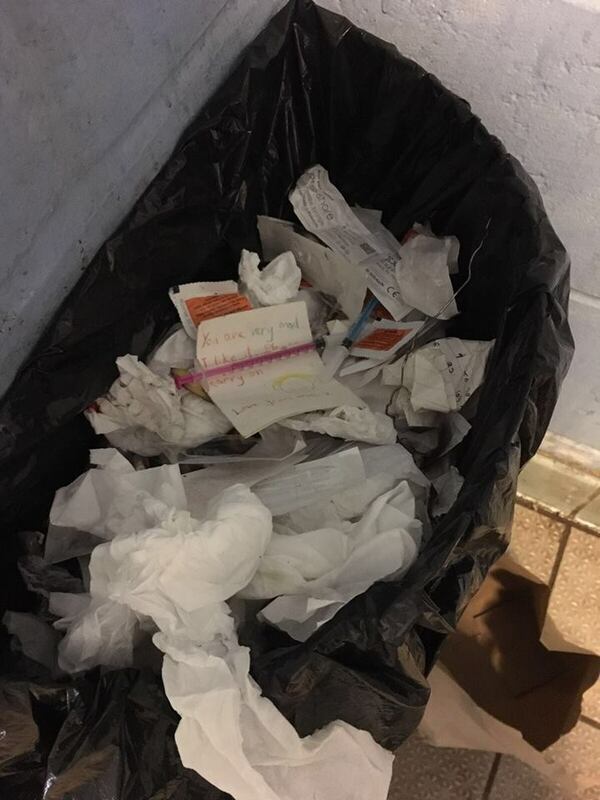 Last week, another concerned parent contacted the Friends Of Queens Park, supplying a photo of needles in the bin of the public toilets. She wrote: “On Wednesday my daughter found drug paraphernalia: used needles and blood stained tissue in the toilet bin.” She asks if “Queens Park has become a new drug hotspot.” The Friends Of Queens Park shared her comments (and photo) on Facebook, and were surprised to see it receiving over 7,000 views. See map below showing recent verified needle finds in the park. The area around the Tennis Pavilion has also had a problem with drug use. Last summer, children playing in the area in front of the Pavilion found an open bag containing used needs and other items. The above instructions were followed and the mess was cleared up within hours.